Q.U.B.E. 2 is a great game with a non-intrusive but exciting story and great controls that captured my attention for hours. While titles in the puzzle genre make up some of my favorite types of games (as evidenced by some of my reviews at this site), in part because they don’t always need a story in order to be considered good. Games like Bridge Constructor and Monument Valley prove that games with minimal narrative can turn out great when the puzzles are inventive. Those games knew what they were trying to do and there’s nothing wrong with that. 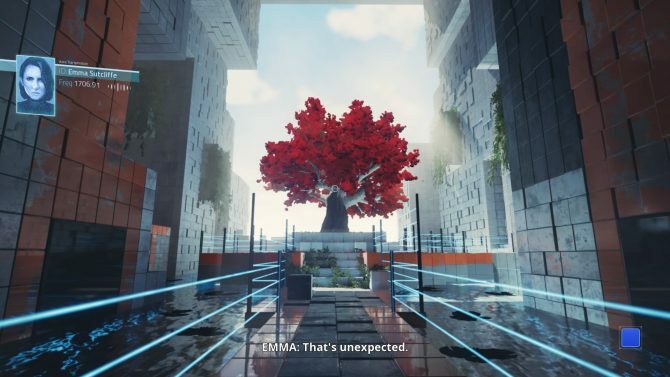 With all that being said, story-based puzzle games like Portal 2 will always have a place in my heart, and when a new one gets announced, it will almost always grab my attention immediately. And that attraction may be what drew me to Q.U.B.E. 2. When I first watched the trailer for Q.U.B.E. 2 I was completely hooked. And when the game’s release date was announced, I couldn’t wait to get my hands on it. The trailer teased a mysterious story, with fun levels, interesting gameplay mechanics, and most importantly, challenging puzzles. Even with that, however, making good puzzle games, just like any game, is a challenge, and I knew that Toxic Games would have a long road ahead of them. I’m happy to say that while I would change and add a few things to the game, all in all, the developers delivered on their promise, and I was very happy with my time in Q.U.B.E. 2. 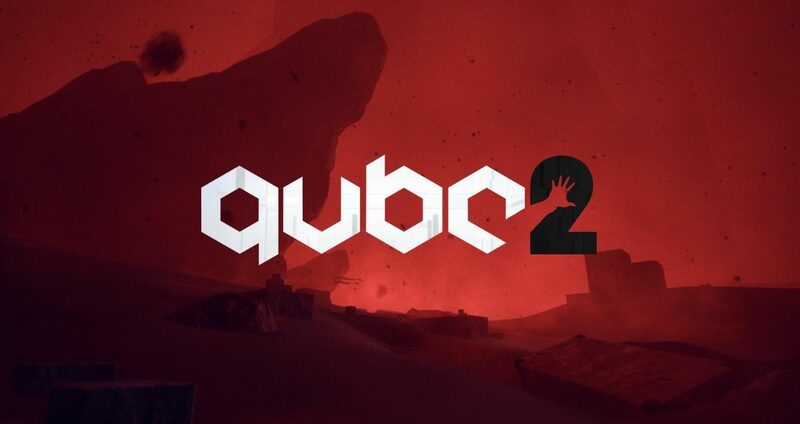 In Q.U.B.E. 2 players take the role of Amelia Cross, an archaeologist who has just woken up in a strange new world. Equipped only with gloves that can manipulate certain colored objects, players will have to make their way through the game’s puzzles in order to find out why she’s woken up on this planet with little to no memory of how she got there. First and foremost, let’s talk about the game’s story. Throughout the course of the game the only time players will really interact with someone is over a radio, which brings me to one of the things I like so much about this game: the story is sparse enough to where if you don’t want it, it doesn’t bog you down with exposition and cutscenes, and you can just ignore a lot of the dialogue. That being said, if you want a story, it’s prominent enough to where you aren’t struggling to pay attention to clues, and characters. I think that Toxic Games found a good mix of both expositional story-telling and environmental story-telling, although, of course, that alone is not enough to make a puzzle game good. One last thing about the game’s story that I thoroughly enjoyed: I was pleasantly surprised about was the amount of subversive horror elements I found in the game. Of course, I won’t spoil anything for those of you who choose to pick this up, but there was a scene in or around chapter 4 of the game that had me creeped out for a couple of minutes. Let’s move on to something I found slightly above average, but nothing mind-blowing: the controls. The game is fun to play, that’s without question, but I had a couple of problems. For one, when you first get into the game, I highly recommend players change the sensitivity on the X-axis. Personally, I found turning to be incredibly slow, to the point where it would sometimes take a few seconds to turn a complete 360 degrees, where it would only take one second in other games. Now, you won’t need this too often, and this doesn’t really affect my score in any way since I can change it, however, it’s still worth pointing out. Another control choice that I felt was a little odd was the way you switch between colors. 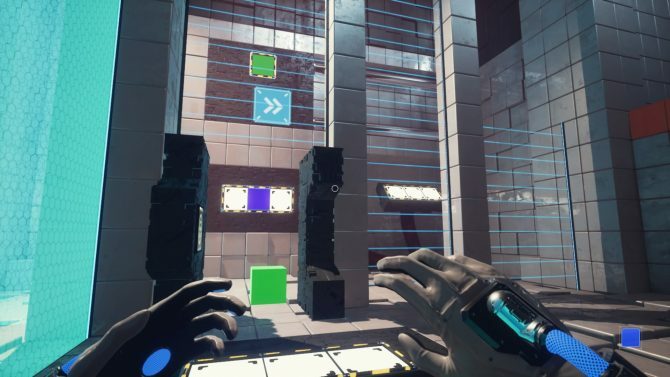 In a game like ChromaGun where you have only three colors to choose from, it’s easy to just tie them to select buttons on the controller, but here, where you have multiple, it became a bit tedious having to scroll through each color on the left and right bumpers of the controller. I personally feel that the game would have benefited more from a “wheel” of sorts, similar to a weapon wheel in games like Far Cry and Wolfenstein. Aside from those two complaints I really didn’t have a problem with the controls. Graphics are, like the controls, above average. This game doesn’t set the standard or anything like that, of course, but it certainly looks good. The game isn’t aiming to be completely realistic, it has a style, but it’s done well enough. One small problem I had with this was that the framerate seemed pretty low when playing on a standard PlayStation 4. Now, I didn’t play the PC version, but from trailers I saw it seemed to be pretty smooth, so players should take that into account when choosing what platform to buy this on, or whether to even buy the game at all. That being said, it didn’t make the game unplayable by any stretch, and I still enjoyed my time in the game, despite this issue. Aside from those things, I didn’t really have anything wrong with the title. This is more of a suggestion than anything, but I do feel that this game would have really benefitted from a VR mode like its predecessor. Hopefully one is coming down the line. Ofcourse, I can’t end this review without saying that, like most other puzzle games, this would have benefitted from a level creator. 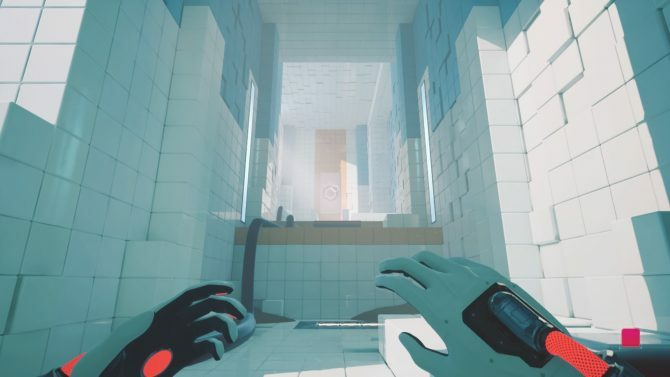 In fact, I can only imagine how amazing the experience would be to play a user-created puzzle in VR. One final thing is that the pacing of the levels felt a bit off too me. I was able to get through the first four chapters of the game in a few hours (there are eleven in total) but after that, it’ll take you much longer to get through each chapter. Again, not really a complaint, but it was worth pointing out. All in all, Q.U.B.E. 2 is a great game. The story is gripping and enticing, and for people that don’t want it, it’s not forced down your throat. 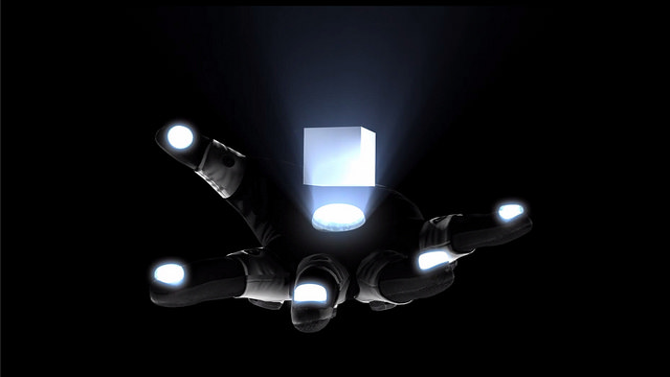 While improvements could be made to the controls and framerate, I had a blast with Q.U.B.E. 2 and I hope that Toxic Games decides to add more to the game in the months to come. 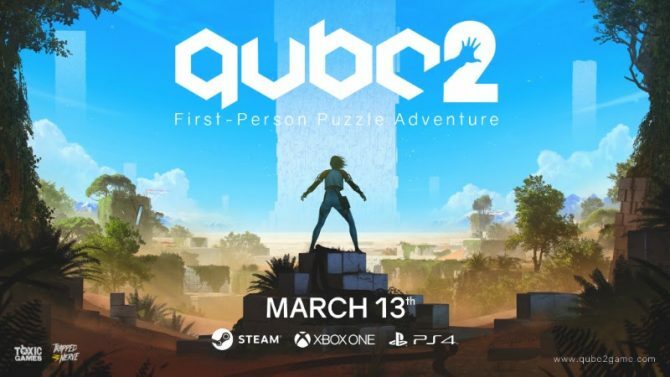 More than a week after it was released, Q.U.B.E. 2 has received a brand new accolades trailer, celebrating all the great reviews its received.